While the more populous Auckland is often the go-to city of choice when visiting New Zealand, its capital shouldn't be overlooked. In addition to being home to a wealth of parks, national museum Te Papa and movie prop studio Weta Cave, and charming harbour fronts and beaches, the city is a true food lover's haven. The F&B scene is constantly innovating to keep up with the shifting tastes of the discerning locals, so visitors will be spoilt for choice. Whether you're looking for international contemporary fine dines or artisanal hole-in-the-walls, you're likely to find something to your taste in the breezy seaside city. The Crab Shack is a casual eatery perched on sunny Queen's Wharf that serves up tortillas, burgers, pastas, and a variety of sharing plates, but it's focus, as its name would suggest, is on seafood—particularly its namesake crab. The quirky interiors drive home the coastal vibe—think plenty of light, paint-brushed woods with pendant lights that look as though they're made from fishing nets. 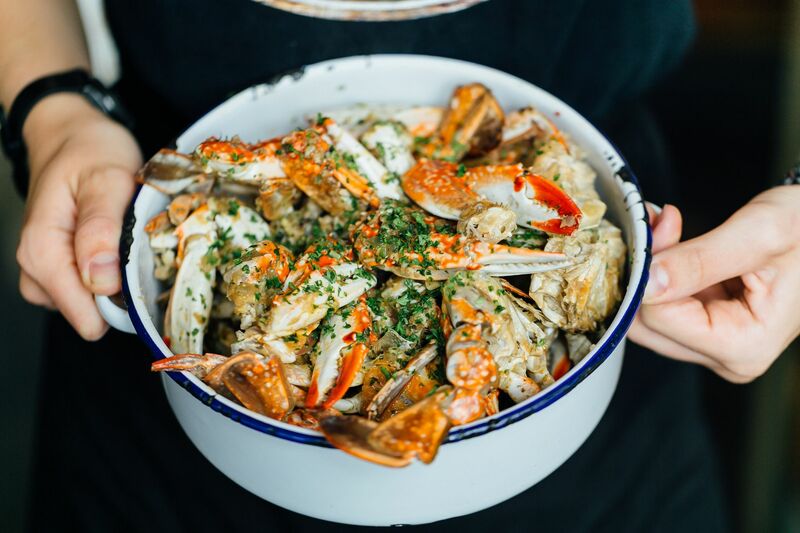 Try one of the crab pots accompanied by a variety of sauces, shellfish by the scoop, or one of the Shack Boards featuring offerings such as mussels, soft shell crab or raw fish. Afterwards, take the opportunity to wander along the pier, take in the street performers and street art, and grab some gelato. This restaurant has been consistently voted as one of the city's best when it comes to fine dining since it first opened in 1996, and for good reason. Logan Brown presents fine dining without all the uncomfortable, stiff formality that this style of restaurant is usually synonymous with, forgoing the fanciness in favour of a warm, friendly attitude that makes you feel right at home. That's not to say the food, service and interiors aren't top-quality, though. The kitchen utilises seasonal, local ingredients in interesting, innovative ways, creating multi-course menus like the three-course bistro menu and the chef's tasting menu. And the surroundings are as impressive as the food—Logan Brown is housed in the grand, classic Former National Bank of New Zealand and registered heritage building. Wellington is an excellent base for explorations further afield, especially if you're interested in visiting national parks such as Nga Manu Nature Reserve. On the drive over, make a stop at L'Amour En Cage bakery and deli for breakfast. A gastronomic gem in the serene Raumati Beach Village, the establishment is run by couple Rudy, who hails from Le Mans, France, and New Zealand native Lisa. L'Amour en Cage serves up a variety of delectable French breakfast pastries, from croissants to pain au chocolat, accompanied by excellent coffee. There are also cakes and pastries (operas, limoncellos, eclairs and an outstanding almond croissant), savouries (quiche, fresh salad, croque monsieurs) and deli products imported directly from France (pate, cheeses, sweets). There are a few seats out front, but you might also consider driving to the nearby beach and enjoying your food in view of the sea. New kid on the block The Fermentery opened earlier this year, bringing brewery Whistling Sisters' craft brews to the Ghuznee Street beer mile. More than just a brewhouse, however; the restaurant also offers an ever-changing menu of internationally-inspired dishes and upscale bar bites created by award-winning chef John Allred. In place of wings and fries are smoky vegetable dips and charcuterie platters. The interiors, meanwhile, are industrial-chic, with soaring ceilings and floor-to-ceiling windows. This Rydges Wellington hotel bar and restaurant is all about steak, locally-sourced meat and produce, and deliciously spiced butter. It also boasts and extensive wine and whisky list, making it a great spot to grab a drink. Expect the place to be packed and buzzing with the after-work crowd in the evenings. You wouldn't have done a true food tour of Wellington without paying the Harbourside Market a visit. Locals gather at the oldest market in the city when it runs every Sunday to stock up on fresh produce, meat and fish, and condiments such as honey and peanut butter. Visitors can munch on roti wraps and other dishes from the food trucks, washing it down with a cup of cold brew coffee. There's even a hint of Hong Kong at the market — pastry chef Jackie Lee, the granddaughter of bakery queen Maria Lee, is known to sell her delectable Lashings brownies out of the market, which are created with local and artisanal chocolate, jam and peanut butter.